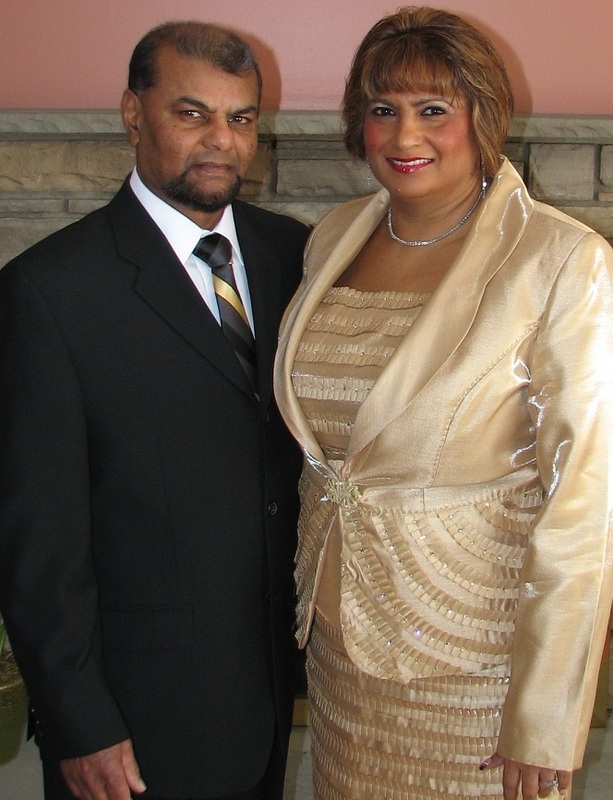 The seed for HIS Throne Room International Ministry was planted when Pastors Knolly and Rosalind Mahadeo and their three children received Christ in 1987. They immediately sought the face of God through intercession, prayer and fasting as they sat in the center of God’s heart in His will. The Mahadeo family first opened up their home for a prayer and intercession meeting in 1990 in Fairview, NJ. After moving to a new home in Bergenfield, NJ, they once again opened up their home and began holding prayer meetings in their living room. The small group prayed and worshipped for hours without instruments or music, waiting on the Lord for His next move. In the weeks that followed, the house became packed for each of the four weekly meetings. Everyone sat on the floor as the Word of God was preached. Healings and deliverances took place. HIS Throne Room International Ministry was born. Since the beginning, the ministry has expanded incredibly: Sunday morning service, two weekday morning-prayer services, and two weekday evening services. Additionally, there are many ministries: a singles' ministry, a children's ministry, a couples' ministry, a women's ministry, a men's ministry, and a food ministry. In February of 2006 Pastor Rosalind was ordained. Sunday services began and there was continued growth. At that point they knew they had to move. The pastors looked far and wide and the Lord led the ministry to Morris Plains, NJ. Miraculously, God provided the funds for the move into the new ministry building. In 2013, the ministry moved to a new location in Tenafly and services are currently held at 46 W Clinton Ave, Tenafly NJ. In HIS Throne Room, many lives have been transformed through prayer, worship, intercession and speaking God’s Word. Signs and wonders have frequently been seen. At the core of the ministry is a spirit of love and unity. HIS Throne Room International Ministry’s covering is Faith Centre Church, which is pastored by Bishop Carlyle Chankersingh. his fruit is sweet to my taste. He has taken me to the banquet hall,and his banner over me is love.Strengthen me with raisens, refresh me with apples, for I am faint with love. His left arm is under my head, and his right arm embraces me."